Working on a couple Django projects in tandem has me tuning my approach to using the built-in development server. I thought I'd share some of the techniques I'm using. Here are the commands I'm going to talk about. If you understand it all from these lines, you're done! The -S option allows you to name your session, so that you can recall it by name later. This is handy if you're running multiple screens (and you probably will be). |& combines stdout and stderr together (the Django development server sends its messages to stderr, so a regular pipe doesn't suffice). The tee -a command, for each line of input, displays it and appends it to the named file. After you detach from your screen session (ctrl-a, ctrl-d), it keeps chugging along in the background. If you want to watch the log for a minute, just issue this tail command, which displays new log entries as they come in. Cancel with ctrl-c. This is better than sitting there watching the same stuff inside your screen session, because if you lose your connection to your server (which I do on a regular basis) you may find your screen session is hard to reconnect to, or, in some cases, that your runserver process has stopped. Plus, the log will keep track of everything; by default, screen has a fairly small buffer. If you need to manually futz with the server process (e.g. if you need to restart it because you've done something traumatic that its normal auto-reload can't handle), reconnect with screen -r projectname, where "projectname" is whatever you named the session (obviously, I tend to name my session after the project). If you can't remember what names you've used for sessions, screen -list will list them. If you have alternate suggestions, or corrections, feel free to post them to the comments. I never even thought of that. I did notice that I was starting and stopping the server a lot. I guess I'll have to fix my screen install on Mac OSX, somethings buggy. I use the exact same scheme for all my django projects. First thing I do in the morning is reattach the django screen session from my dev server (I never close it). I don't store django's runserver logs, when I test stuff I just CTRL+a 0 and read the logs in real time. Any reason to keep this dev logs in disk? (other than historical reasons of course). An alternative to "tail -f" that I prefer is to open the log file in less and then hit "F" (shift-F) which will take you to the bottom of the log file and continually load the new stuff just like "tail -f". The benefit from using "less" instead of "tail -f" is that you can hit ctrl-C and you're back in normal less operation -- you scroll back in the buffer easily, search for text, etc. Hit "F" again and you're looking at the latest stuff. I still run it inside screen. screen rocks. Tabo: Very cool, you're clearly a screen ninja. The main reason I currently use a logfile instead of keeping the screen session open all the time is that I often am on flaky wireless connections, and in the past have had trouble reattaching to stranded screen sessions. Doug: Thanks for the less tip, that's excellent. I just keep a terminal tab devoted to the runserver (versus screen) as I like to insert "import pdb; pdb.set_trace()" quite often in my own code and sometimes in core django code as well. I also use a lot of print statements which are printed to the console. Not sure why not just stay attached to the console? I also use a similar layout, but I recommend running it behind apache using mod_proxy. 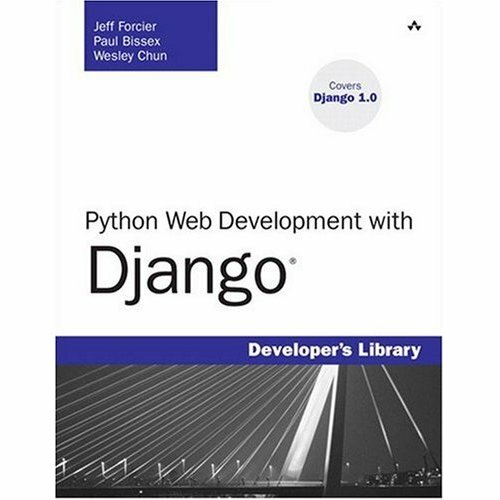 its only takes a second to setup and you can spin up django's dev server from any directory and insert into your staging environment. Yeah, in fact I use Apache mod_rewrite proxy rules to the same effect. With domain wildcarding I can use a subdomain for each project under development, e.g. wiki.django.e-scribe.com. Sorry, I should have noted that I'm using tcsh. oh yeah... Paul, "autodetach on", might help with your reattach problem after your disconnects.